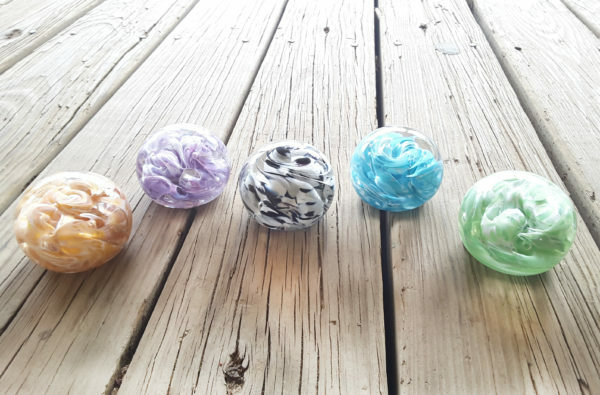 Vetro Glassblowing Studio presents Make Your Own Spring Break Paperweight! Come and assist our glassblowers as they create your sculpted Glass Paperweight. These one of a kind glass art pieces are perfect gifts for teachers. They also can add an element of elegance to your own home or office. Reservations are required!!! ALL AGES WELCOME! Tuesday, March 12, 2019 - 10:00 a.m. - 2:00 p.m.
Thursday, March 14, 2019 - 10:00 a.m. - 2:00 p.m.
Saturday, March 16, 2019 - 10:00 a.m. - 6:00 p.m.
• Pick up your glass artwork the following business day after 3:00 p.m. The gallery is open Tuesday – Saturday 10 a.m.-6 p.m. and closed Sunday and Monday or you may have it shipped for an additional fee. • Should you need to cancel, we must be notified by 10 a.m. the day BEFORE your reservation. • A Processing Fee of $10.00 will be deducted from each of your time slots for your refund. Should you need to reschedule a $5.00 processing fee will apply to each time slot. • Time slots for creating glass are limited because of the space we have in the annealers. We want to make it fair to all our glass, loving patrons so we have built in a stick cancellation policy. • Please keep in mind that all notifications after 10 a.m. the day before your scheduled date are non-refundable and will not be rescheduled. • Should you miss your appointment you may contact the gallery and let our studio staffs know the color you would like to choose out of the Help Create color mixes and your product item will be created for you. 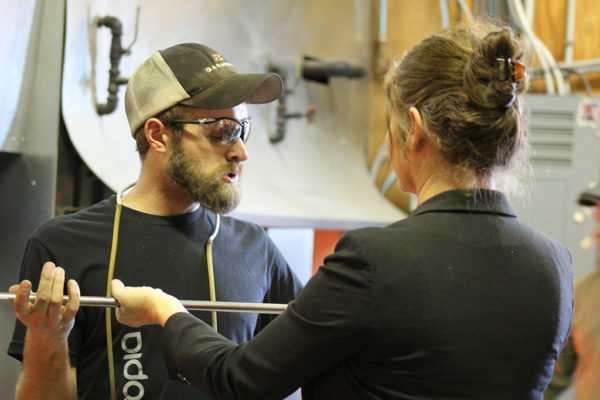 • Pieces made on Saturday can be picked up after 3 p.m. the following Tuesday or any other day during Gallery hours; the glass pieces must cool for at least 24 hours. The gallery is open Tuesday-Saturday 10a.m.-6p.m. and closed Sunday and Monday. • Due to the nature of glass, there is a possibility that your glass art piece could break or crack during the cooling process. If this happens, one of the gallery employees will call with two different options: (1) one of our glassblowers can re-make the glass art piece and you can pick it up or have it shipped (for an additional fee); (2) you may choose an like item from the pre-made glass pieces in the gallery (3) you can schedule a time to come back to the Vetro Studio and re-make your art piece! • Kids of all ages welcome to observe; under 18 must be accompanied by an adult. Kids under 14 years of age may choose and apply the color but will not be allowed to get close to the furnaces. Browse and shop from a wide variety of Vetro Art Glasses, these items are perfect take-home items and make great gifts or souvenirs.